Kailua-Kona. Andreas Raelert has experienced one of the most disappointing moments in his sports career in recent years at the Ironman Hawaii. "I have had four wonderful years here in Kona," said 2012’s Ironman Hawaii silver medalist after the race, "today, this was not given to me." The 37-year old could not finish the race due to a pinched nerve and had to drop out after the bike leg. "It is the first DNF of my career," said Andreas Raelert, "if it had been possible, I would have brought the race to the finish line." After 53:21 minutes Andreas Raelert finished the 3.86 kilometer swim in the ocean and exited the water at the Pier of Kailua-Kona. Together with reigning Ironman 70.3 World Champion Sebastian Kienle he then went on the bike course. "The problems started slowly, but very early," said Andreas Raelert. “I tried to go further on," said the world’s fastest athlete on the Ironman-distance, "but after 100 kilometers I felt numbness." He always had to put one foot out of his shoes and to stretch his leg. "I was still hoping that I can at least finish the race," said Andreas Raelert. 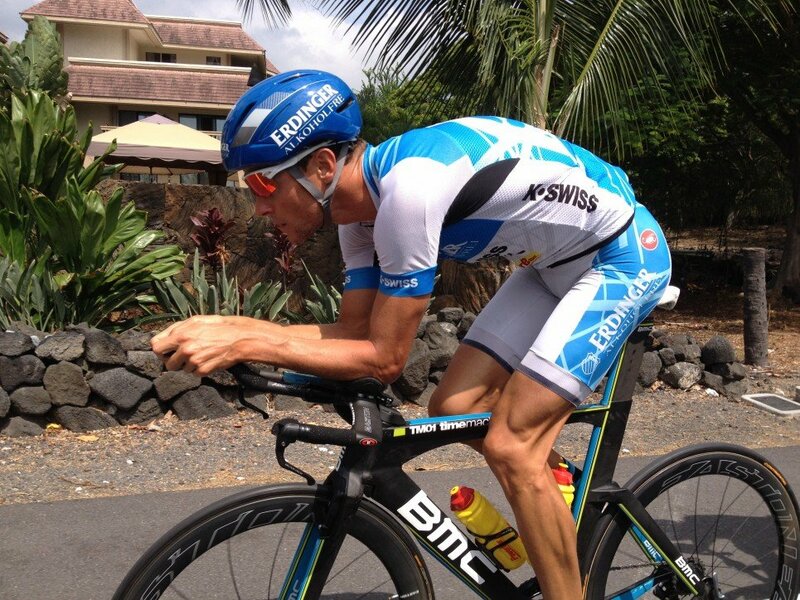 After four podium finishes in Kona his goal was to fight for the title. "I 'm incredibly disappointed that this was not possible." He was suffering a lot on the last miles on the bike and reached T2 under pain, so that he had drop out of the race. "I want to thank everyone, who kept his fingers crossed for me before and during the race,” said Andreas Raelert, “thank you very much for your support." Andreas Raelert went for a physiotherapy treatment immediately after his withdrawal from the race. "I would have appreciated to experience a different result of this race. But unfortunately, those moments of disappointment are also part of sports – just as the beautiful moments which the new Ironman world champions Frederik van Lierde and Mirinda Carfrae experienced on race day." Andreas Raelert warmly congratulated the winners after their successes in Kona, especially men's champion Frederik van Lierde, who took the victory in 8:12:29 hours ahead of Luke McKenzie of Australia and Sebastian Kienle from Germany. "All of them have shown great performances," said Andreas Raelert, "they deserve my full respect, especially the new Kona champion Frederik van Lierde."